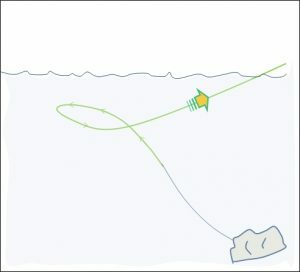 Part 1 of this post described the general form of what I like to call the “water pulley” technique for unsnagging a fly. This entry was posted in Fly Fishing Life, Michael Vorhis, Fly Fisher & Author, Our Regular Contributors and tagged fly fishing, fly fishing advice, fly fishing life, fly fishing tips on October 28, 2016 by Michael Vorhis. This entry was posted in Fly Fishing Life, Michael Vorhis, Fly Fisher & Author, Our Regular Contributors and tagged fly fishing, fly fishing advice, fly fishing life, fly fishing tips on October 25, 2016 by Michael Vorhis. This might seem an odd introduction to a fly tying blog, but trust me there’s a connection, albeit fanciful. Which of the following would you chose as the answer to this question? 1. It’s is a congratulatory drinking toast, similar to “bottoms up! This entry was posted in Fly Tying Tips & Tools, Mike Cline, Bozeman MT, Our Regular Contributors and tagged Bozeman MT, fly fishing advice, fly fishing life, fly tying instructions, fly tying materials, fly tying recipe, fly tying tips, Mike Cline, Our Regular Contributors on October 21, 2016 by Mike Cline.